Home > Uncategorized	> Have you seen these Sears Homes in Connecticut? 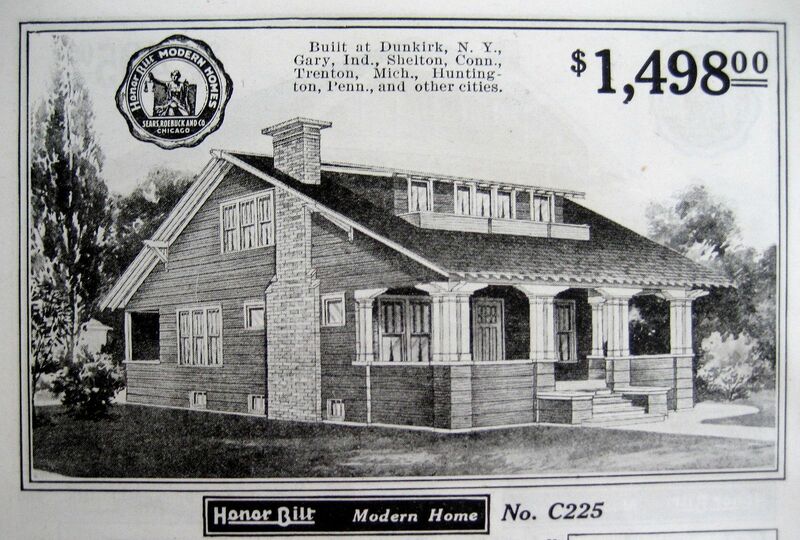 Have you seen these Sears Homes in Connecticut? 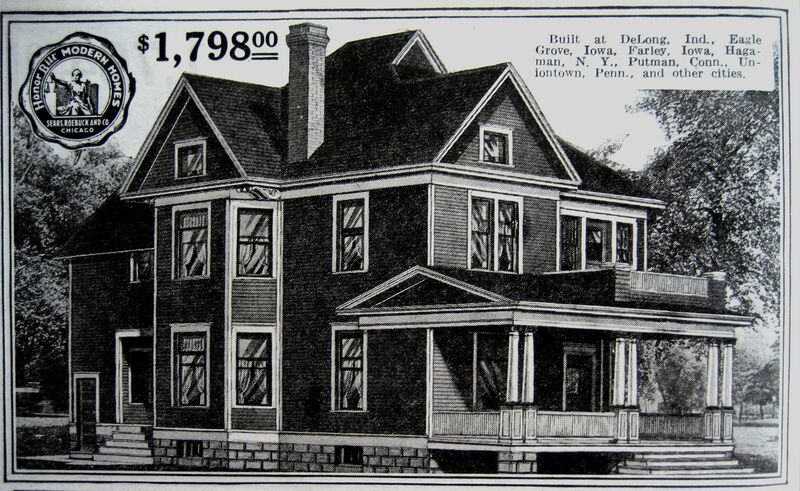 Reading through the 1916 Sears Homes catalog, I found several testimonials from happy homebuyers in Connecticut. I’ve picked these two testimonies (see pictures below), because they purchased large, easy-to-identify Sears Homes. If you know the address of these Sears Homes, please leave a comment below. Or, if you know of another Sears Home in Connecticut, please mention that, too and SEND ME A PHOTO! Are you familiar with Sears Homes? These were true kits, sold right out of the pages of the Sears Roebuck catalog, arriving at the train depot in a boxcar with 12,000 pieces of house. 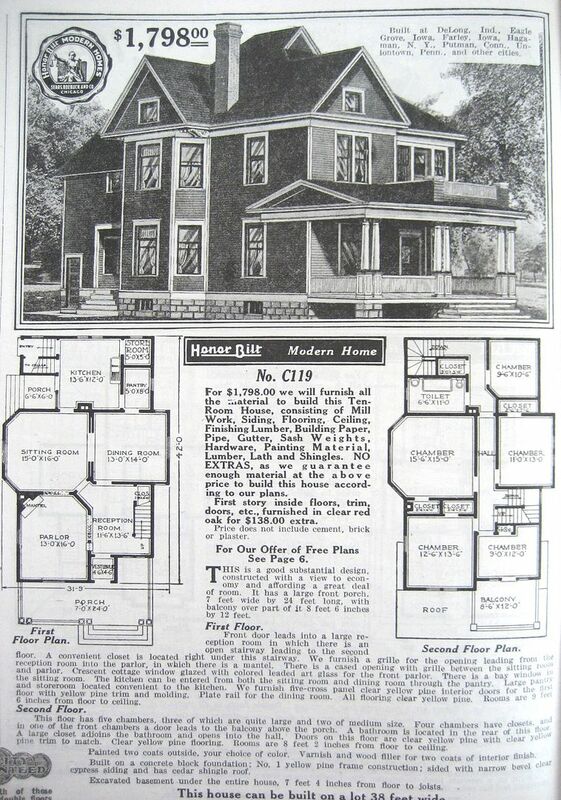 These early 20th Century homes came with a 75-page instruction book and detailed blueprints. 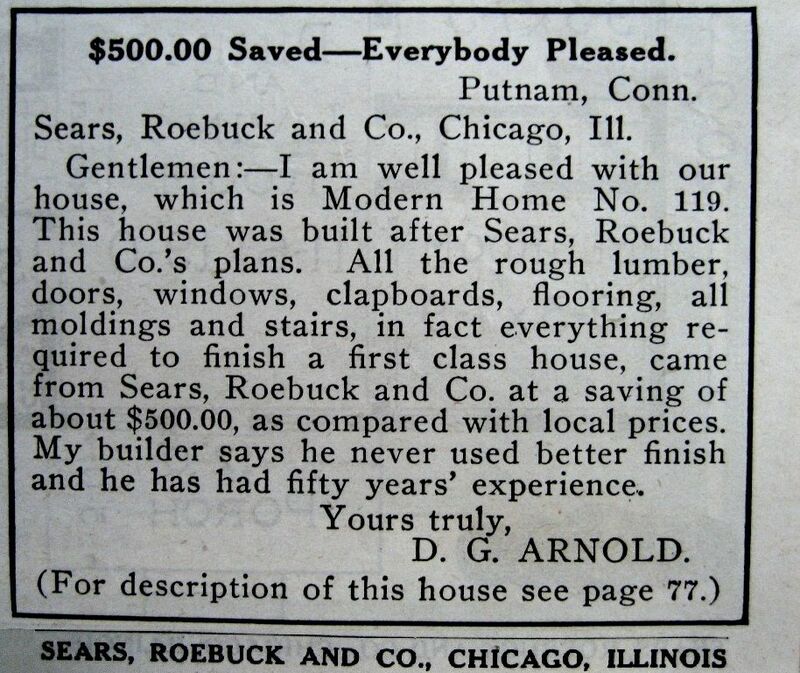 Sears promised that a “man of average abilities” could have the house finished within 90 days! 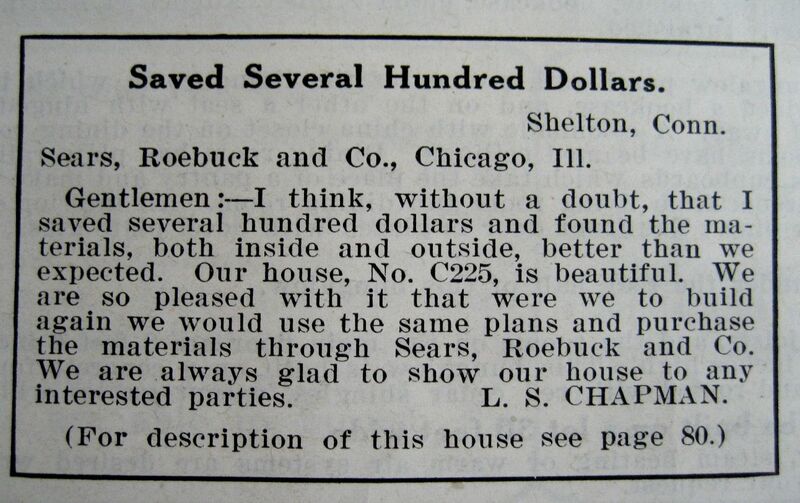 Testimonial from 1916 Sears Modern Homes catalog. The Sears 225 is at 114 New Street, Shelton Connecticut and, there’s a Sears 225 at 201 Weeks Str in Bennington, Vermont neighboring to an Aladdin Shadowlawn. West Point, Virginia: Sears Homes - Yes, Military Academy - No. The Magnificent Magnolia in North Carolina!